City:_______________________ State:_______     Zip:____________     for show updates? and agree to terms below. CD contains explicit lyrics, adult language, adult theme and sexual references, not intended for children. Listen at your own risk. If the music offends you, just don't buy it and don't listen. Any requests of quantity over 5 CD's, please contact me via email to discuss terms. Allow 2-4 weeks delivery. 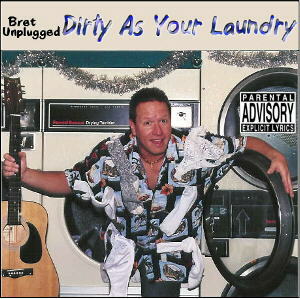 Bret Unplugged CD's are a novelty CD, sound quality and volume may vary on recordings. 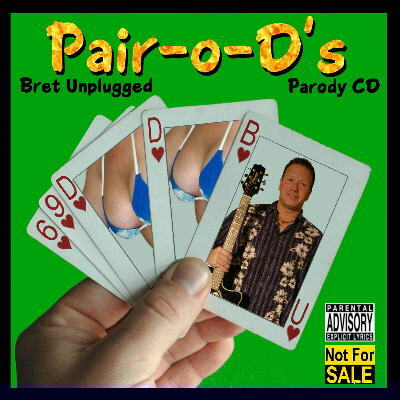 All materials included in CD... songs, lyrics, music and cover art are works of Bret Unplugged (C), all rights are reserved. Any use of materials without written permission is strictly prohibited. Shipping outside of the United States (or in some areas of United States) may require additional shipping and handling, please e-mail to make special arrangements. CD prices and/or shipping prices may vary and may change at anytime. 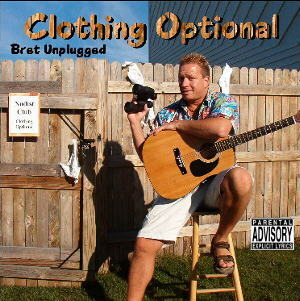 Bret Unplugged reserves the right to deny order requests.